Rohde & Schwarz has partnered with Qualcomm to implement NB-IoT tests that can be used to verify Qualcomm global Cat M1/Cat NB-1 dual-mode LTE modem. 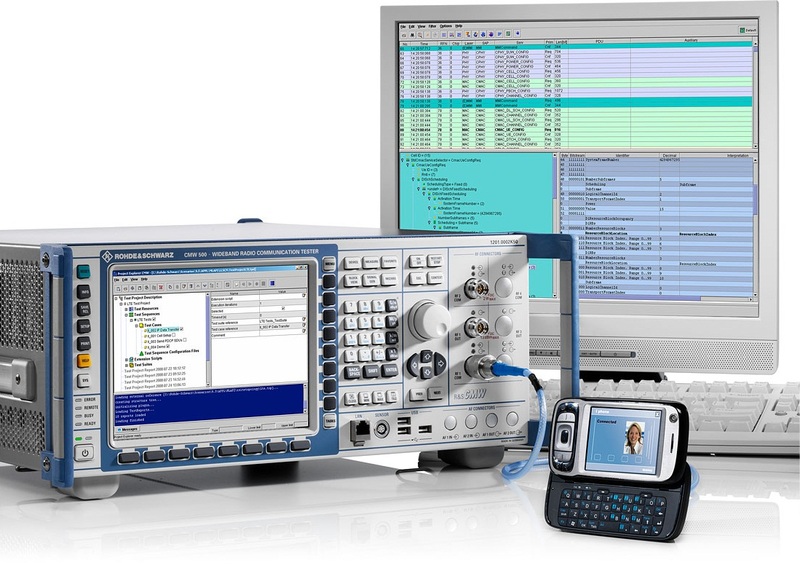 Rohde & Schwarz has implemented a wide range of NB-IoT tests that can be used to verify the Qualcomm’ MDM9206 global Cat M1/Cat NB-1 dual-mode LTE modem. With the R&S CMW-KU300 NB-IoT MLAPI scenarios and the R&S CMW-KR313 3GPP Rel. 13 C-IoT protocol test enabler on a single R&S CMW500 radio communication tester, engineers can test their IoT devices based on the MDM9206 LTE modem under realistic conditions by attaching and establishing a real-time, comprehensive connection with the simulated network and then testing relevant signalling and RF scenarios related to the 3GPP Release 13 specification. Figure 1: Rohde & Schwarz CMW500 test platform. At the Mobile World Congress 2017 in Barcelona, R&S demonstrated the MDM9206 LTE modem using the R&S CMW500 wideband radio communication tester, which emulates a LTE-Advanced network with IP Multimedia System (IMS) server capabilities. The demonstration began with a network attachment and establishment of a comprehensive data session. Using the R&S CMW-KM300 NB-IoT Tx-Measurement personality during an established NB-IoT call, RF parametric tests to evaluate RF-spectrum, output-power and error vector magnitude (EVM) provide unique insight to the RF performance of the IoT device, according to the company.